Ann Akiko Meyerswith her violin which she will be performing with at Beethoven Odyssey. Beethoven Odyssey. The Tucson Symphony Orchestra is back with their 2018-2019 season, and they’re kicking it off with a bang: Conductor José Luis Gomez will be leading the orchestra in playing music from 2001: A Space Odyssey on its 50th anniversary, including Richard Strauss’ tone poem "Thus Spake Zarathustra." 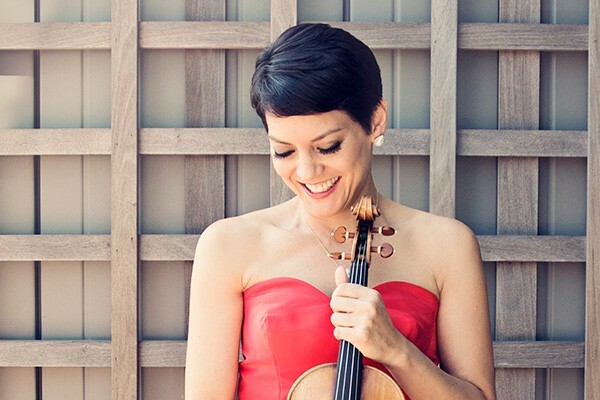 In addition, special guest and violin superstar Anne Akiko Meyers—one of the most in-demand violinists in the world—will be featured in Beethoven’s Violin Concerto, one of his best-known and most important works. 7:30 p.m. on Friday, Sept. 21 and 2 p.m. on Sunday, Sept. 23. Tucson Music Hall, 260 S. Church Ave. $15 to $86+. Details Here. The Sorting Party! Calling all Hufflepuffs! Well really, calling all Harry Potter fans, no matter which house they fall into. But we all know Hufflepuffs could use a little extra love. And hey, if you haven’t taken the Pottermore quiz yet, this is your perfect opportunity to do so, so you know what to dress up as. Espresso Art Cafe is hosting a night of live music, cafe and bar specials and a photo booth, which, even without moving pictures, is so wonderful and fun that it might just be the closest thing to magic we have. Be sure to dress up in your best robes or get dolled up as your favorite creature. Accio espresso! 8 p.m. Friday, Sept. 21. Espresso Art Cafe, 942 E. University Blvd. Details Here. The Station Agent. For their Third Friday Fall Film Series Grace St. Paul’s Episcopal Church is screening Peter Dinklage’s breakthrough film. This comedy drama shows a man’s efforts to seek social isolation fall apart when he ends up befriending other oddballs. This is one of three independent films Grace St. Paul’s is showing that tell the stories of people who make transformative connections with others in unexpected ways. 6:30 p.m. Friday, Sept. 21. 2331 E. Adams St. Details Here. Planet of the Apes (1968). The Fox Theatre invites you to watch—no, not the 2010s remakes; no, not the 2000s remakes—but the original 1968 Charlton-Heston-in-all-his-brawny-glory sci-fi classic. Yes, it’s a fun adventure movie, but at the same time there’s complex sociological subtext—and apes riding horses! 7:30 p.m. Friday, Sept. 21. 17 W. Congress St. $5. Details Here. The Thing (1982). One of the greatest remakes in cinema history also happens to be a crowning achievement in practical effects. 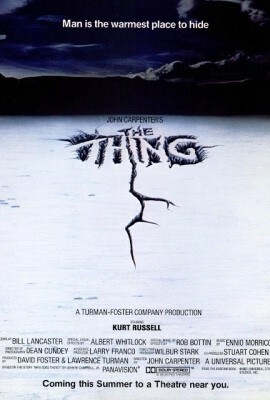 John Carpenter’s The Thing is a perfect example of how to make a sci-fi horror; it’s claustrophobic, isolating, cold, bloody and has just enough explosions to keep you excited. The Loft Cinema invites you to share in the terror. 10 p.m. Friday, Sept. 21, and Saturday, Sept. 22. 3233 East Speedway Blvd. $6. Details Here. Yoga Under the Harvest Moon. Yoga and cocktails? On a roof? During the full moon? With serenity and alcohol inside you, Agustin Kitchen beneath you and a full moon above you, what could go wrong? This two-hour event might just be the perfect way to kick off the weekend with Leah Shaffer, a yoga instructor from local studio Om Yoga. If you make a reservation in advance, you can fill your stomach up with 20 percent off a meal at Agustin Kitchen right after the event. It will go well with your full heart. Breathe in the good. Breathe out everything that isn’t custom cocktails and rooftop yoga. 7:30 to 9 p.m. Friday, Sept. 21. Agustin Kitchen, 100 S. Avenida del Convento. $25. Details Here. Tucson 5K Dash & Walk Like MADD 2018. The best thing you can do to help prevent drunk and drugged driving in our community is to not drive drunk or high in our community. But if you’re looking to go the extra mile (or the extra 3.1 miles), Walk Like MADD is a good way to do it. Runners, walkers and virtual walkers in 90 cities across the nation will be raising money for Mothers Against Drunk Driving and enjoying a barbecue and festivities afterward. Feel good about yourself for the physical fitness, and for dedicating yourself to making Tucson safer. 8:30 a.m. Saturday, Sept. 22, but registration ends at 5 p.m. on Friday, Sept. 21, so don’t miss it. Reid Park, 900 S. Randolph Way. $30 run, $20 walk. Details Here. Party at the Peak. Now that it’s getting closer to a sane temperature in Tucson, Pinnacle Peak at Trail Dust Town invites you out for an evening party. There will be beer specials from Sentinel Peak Brewing Company, live music from local artist Leila Lopez, lawn games and all the attractions of the Old West. 5 to 9 p.m. Friday, Sept. 21. 6541 E. Tanque Verde Road. Details Here. 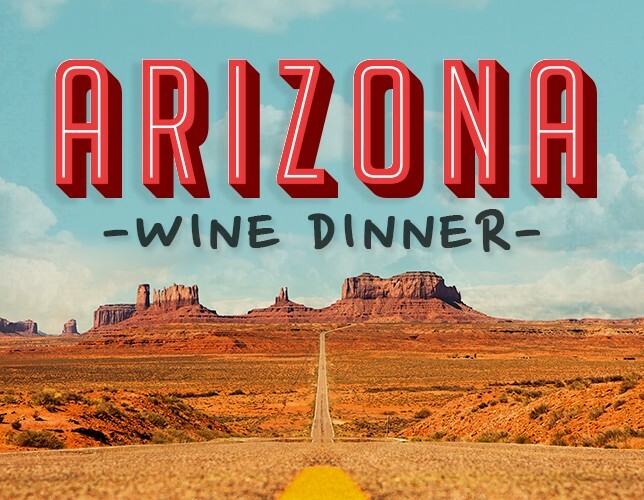 Arizona Wine Dinner. After traveling all over the world with their Wine Tour series, Maynards Market and Kitchen is bringing it all back home with a series of wines inspired by and made in the Grand Canyon State. Over three courses, enjoy pomegranate, cured duck egg and puffed sweet potato paired with Callaghan Buena Suerta 2015; apple-chorizo stuffing and ayocote morado beans paired with Dos Cabezas Red 2014 and more! 6 to 8 p.m. Friday, Sept. 21. 400 N. Toole Ave. $78. Details Here. Scotch Whisky Dinner. Cafe a la C’Art has really got some special courses up their sleeves for this one: an evening dinner with five cocktails and four courses, featuring a special Glenglassaugh Highland Single Malt Scotch Whisky. Food dishes include parmesan focaccia frico, New Zealand rack of lamb with spiced blackcurrant, pan-seared sea scallops with orange butter sauce and plenty more fabulousness. 6 to 9 p.m. Friday, Sept. 21. 150 N. Main Ave. $75. Details Here. The Final Countdown Wine Pairing. Brewd Coffee Lounge is cleaning out their wine cellar and making use of the occasion to host their “final wine pairing dinner.” Enjoy both red and white wines paired with great foods and served family style. 6 to 9 p.m. Saturday, Sept. 22. 4960 N. Sabino Canyon Road. $30 online or $35 day of. Details Here. Crooked Yoga. When it comes to good deals, Crooked Tooth Brewing knows what’s up. Often, you could spend more than $5 on a beer or a yoga session, but they’re offering $5 for yoga and a pint! Get zen, and then get zen-er by combining their yoga and craft brews for a truly enlightening experience. 10:30 to 11:30 a.m. Saturday, Sept. 22. 228 E. Sixth St. Details Here. National Public Lands Day. Established in 1994, this event has become the nation’s largest single-day volunteer effort. This year is not only the 25th anniversary of National Public Lands Day, but it’s also the 50th anniversary of the National Trails System and National Wild & Scenic Rivers system. How can you celebrate? The most fun choice is to visit a national park for free! That’s right! They’re all free today. Or, you can get involved with a volunteer work project in the parks—if you do, you’ll get a fee-free day coupon you can use on a future date. And, of course, you can share your favorite outdoor activities on social media with hashtags like #NPSVolunteer, #FindYourPark and #NPLD. Saturday, Sept. 22. All national parks! Free! Details Here. Stone Avenue Block Party. The Jewish History Museum and Consulado de Mexico de Tucson are coming together to present this event for the fourth year in a row. They’ve got food trucks, including Tacoqueta, Jackie’s Food Court, Don Pedro’s Peruvian Bistro and Pin Up Pastries! They’ve got local beers from Sentinel Peak Brewery and Barrio Brewing Co.! 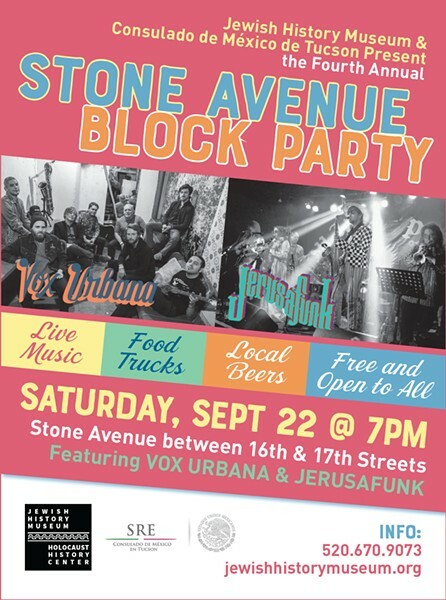 They’ve got live music by Vox Urbana and Jerusafunk! And it’s free and open to the public! So all they’re missing is you. Get your groove on, chow down on some excellent food and get to know your neighbors. You won’t regret it. 7 p.m. Saturday, Sept. 22. Stone Avenue between 16th and 17th Streets. Free. Details Here. Equinox and Beyond. Join the downtown performance artists at Cirque Roots for their annual celebration of community and art! Tucson is, of course, one big celebration of community and art, in a way, but on this night, check out a variety show, beats by DJ Cruise Control and lots of spontaneous art. The fall equinox (the day when the sun shines directly on the equator and day and night are nearly the same length) happens at exactly 6:54 p.m. in Tucson, so consider this event the after party, or a party to ring in the fall season. 8 p.m. Saturday, Sept. 22. Cirque Roots, 901 N. 13th Ave. Free. Details Here. Bow Tie Block Party. The El Rio Vecinos, a philanthropic group that supports the El Rio Community Health Center, is throwing this great event for you to put on a bow tie and some boots while also supporting El Rio’s emergency dental fund for children. DJ Herm, Grupo Mateca and Joe Barron will provide live music; local breweries and restaurants will provide food; and general admission tickets include food, music and five beverage tickets. VIP tickets get you access to the VIP room, free valet, exclusive food samples and two extra drinks. 7 to 11 p.m. Saturday, Sept. 22. 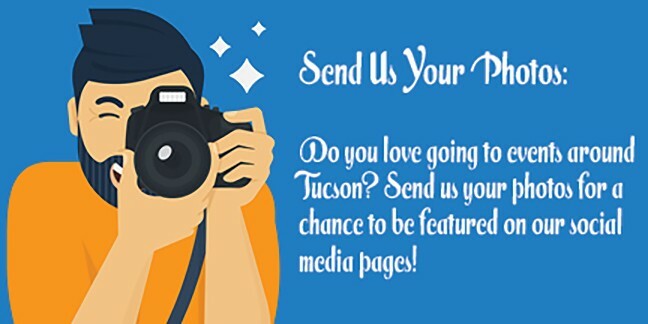 Tucson Scottish Rite Cathedral, 160 S. Scott Ave. $65 to $95. Details Here. Tails and Ales. Here’s some things we can all enjoy: dog baths and beer. Cool your pup off from the summer heat by stopping into Barrio Brewing Co., buy a custom pint glass and take a dollar off your beer, then kick back while your dog gets a bath. This event is a collaboration between the Humane Society of Southern Arizona, Tucson Roller Derby and Barrio Brewing. 11 a.m. to 4 p.m. Sunday, Sept. 23. 800 E. 16th St. $15. Details Here. Gary Farmer & The Troublemakers. He’s not just an award-winning actor, and he’s not just an award-winning actor and director. 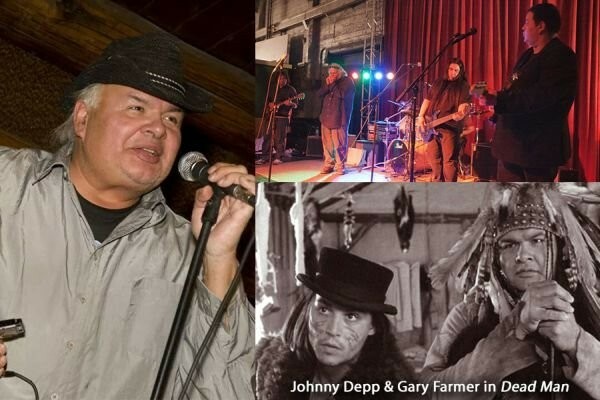 Gary Miller is also a director and a Native American activist best known for his roles in films like Dead Man and Pow Wow Highway. He’s coming to Tucson with his five-piece blues, roots and jam band to play a night full of both originals and covers. Joining him is his friend Derek Miller, who has been playing music for three decades and is known as a hotshot on the indigenous music scene. 7 p.m. Sunday, Sept. 23. Sea of Glass Center for the Arts, 330 E. Seventh St. Adults $15 in advance, $20 day-of. Teens 12 to 15, $12 in advance, $17 day-of. Kids $4 either way. Details Here. The Grand Canyon Mystery. Join Live Theatre Workshop as they tell this original story about a gang of critters on the north rim of the Grand Canyon getting ready for the winter. As they’re taking stock off their supplies and shelter, they realize the food supply they’ve saved up all year is gone! Who did this? Was it the raccoon? Maybe the snake? Probably the weasel. Or worse still, was it someone in the inner circle of the Fraternal Order of the Great Northern Rim (FOGNeR), like Barry Buffalo or Alfred Binghampton Elk III? This show is kid friendly, of course, but there’s plenty of humor adults will enjoy as well. After all, who doesn’t love a good mystery? 12:30 p.m. on Sundays from Sept. 23 through Nov. 11. Live Theatre Workshop, 5317 E. Speedway Blvd. $10 adults, $7 kids. Details Here. Catalina State Park “Split Endz” Trail Race, Run and Walk. Everyone Runs, Everyone Walks is hosting this 5.2-mile and 10.35-mile trail race and 5K road run and walk through Catalina State Park. They pride themselves on making events that are friendly for beginners as well as avid runners, so there will be mostly moderate climbs and descents on the trail run and plenty of course support. They also pride themselves on giving you your money’s worth, so you get free photos, finisher tshirts and a free Mexican breakfast! 5K and 10-mile trail races starts at 6:30 a.m. and 5-mile trail race starts at 6:50 a.m. on Sunday, Sept. 23. 11570 N. Oracle Road. See website for updated pricing details. Details Here. Old and New World Harvest Demonstration. The Presidio San Agustin is back at it again with the hands-on educational activities that keep all ages engaged. In this presentation, you’ll learn all about the crops that are native to our sweet Sonoran Desert, as well as the plants and foodstuffs originally from Europe. It never hurts to learn a little bit more about the desert we call home, and it especially never hurts to work up an appetite while you’re doing it. (We don’t know if you’ve noticed, but there are a LOT of good places to eat in Tucson.) 1 to p.m. Sunday, Sept. 23. Presidio San Agustin del Tucson, 196 N. Court Ave. Included with admission, $5 general, $1 kids 6 to 14, and free for members and kids 5 and under. Details Here. The Guilty. 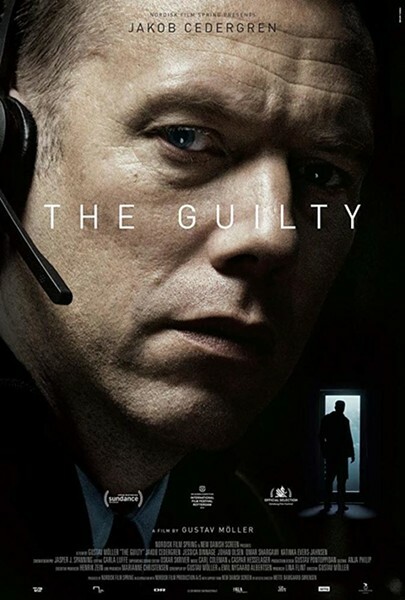 In celebration of Arthouse Theater Day, a nationwide celebration of local arthouses and the vital cultural role they play, The Loft Cinema is screening a Danish police thriller. When an officer is confined to desk taking emergency calls, he winds up entrenched in a mystery he can only help stop over the phone. 7:30 p.m. Sunday, Sept. 23. 3233 East Speedway Blvd. $6. Details Here.